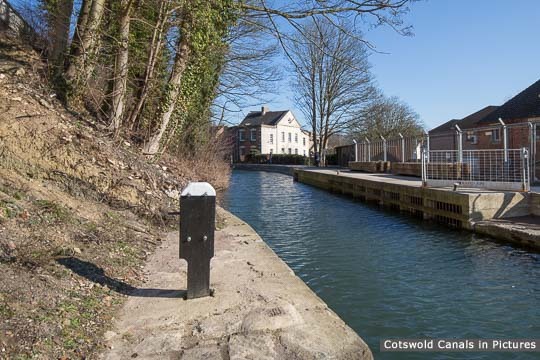 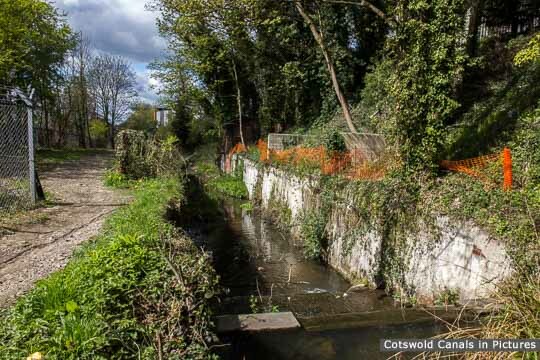 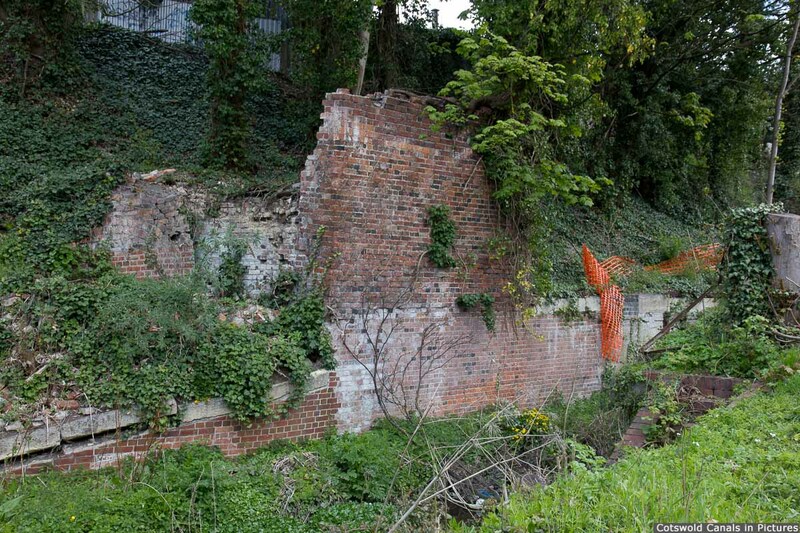 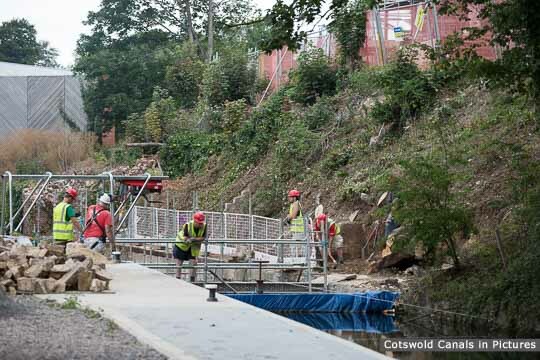 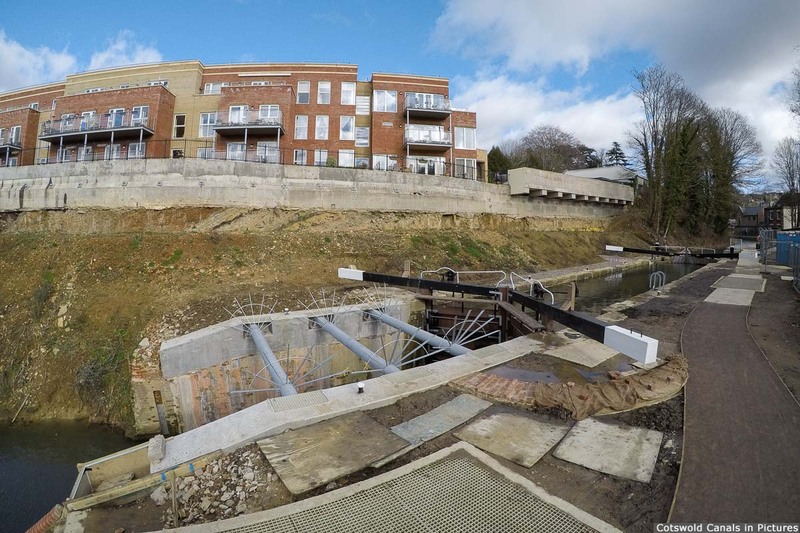 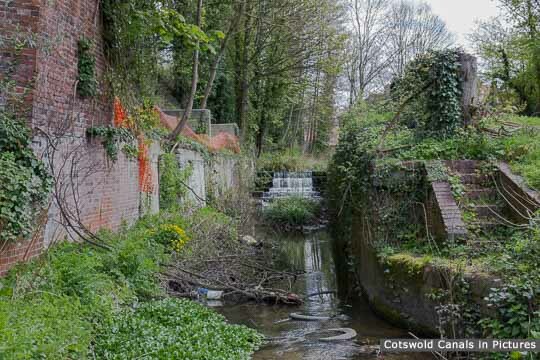 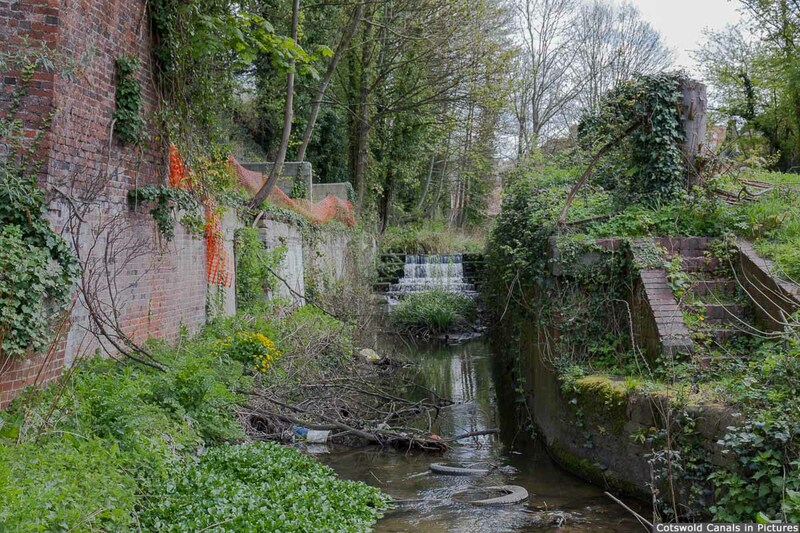 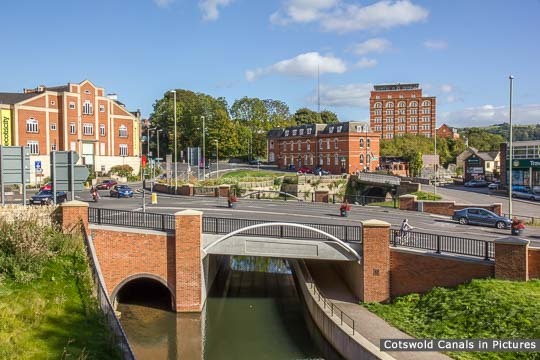 Work started to restore Wallbridge Lower Lock in June 2014 with the construction of a bypass channel & fish pass which carries water from the Slad Brook around the lock. Once that work was complete, volunteers took over to restore the main structure of the lock which was in better condition than expected. 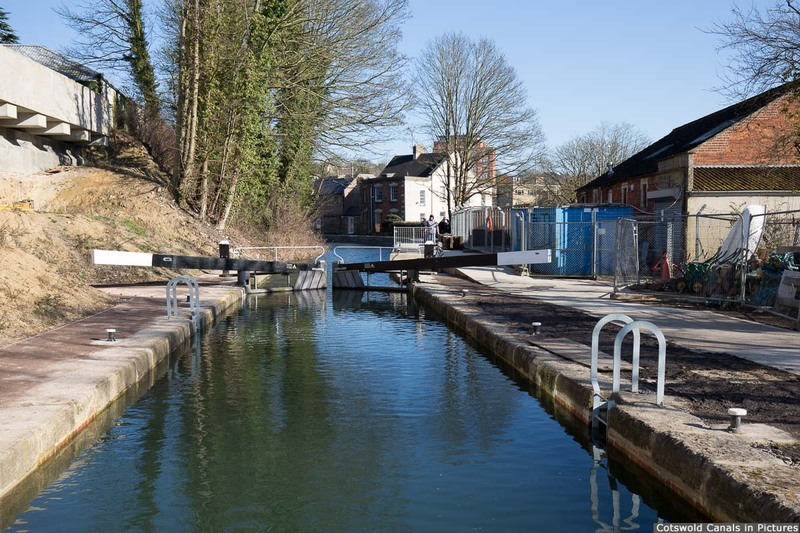 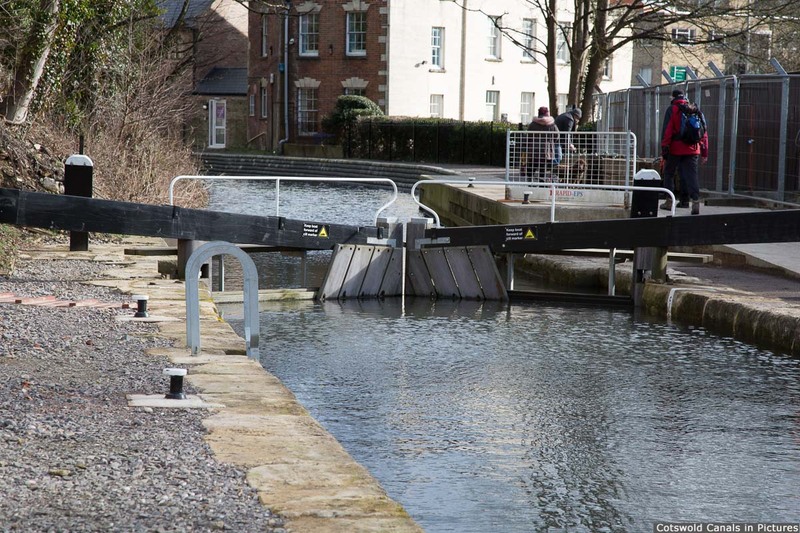 Wallbridge Lower Lock was officially opened by His Royal Highness The Prince of Wales on February 2, 2018. This lock effectively marks the start of Thames & Severn Canal. This view shows the high off-side bank alongside the lock. 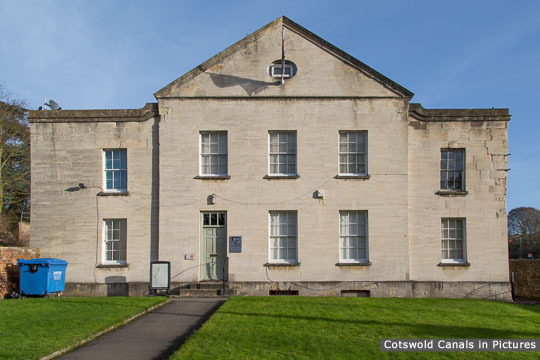 Construction of the Stroudwater Court retirement homes on top was also taking place at this time.